Find an idea. Choose a strategy. Enter your order. Manage your position. We’ll help you build the confidence to start trading options on the E*TRADE web platform or our Power E*TRADE platform today. Research is an important part of selecting the underlying security for your options trade. 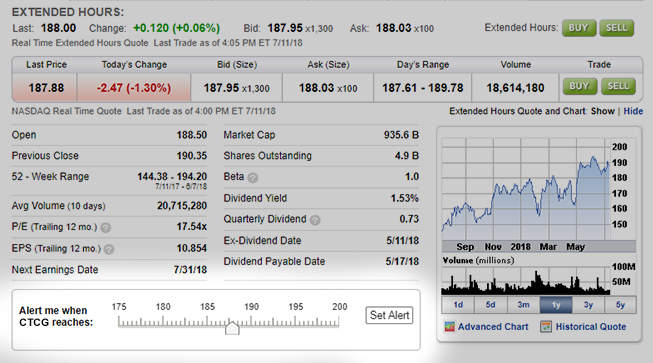 E*TRADE provides you with a rich collection of tools and information to help you research and analyze potential opportunities and find options investing ideas. Similar to stocks, you can use fundamental indicators to identify options opportunities. 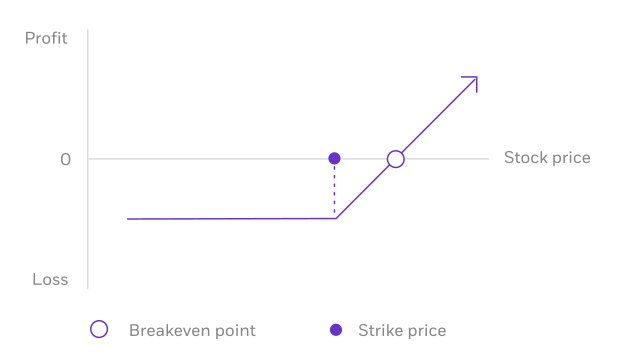 Use our charts to examine price history and perform technical analysis to help you decide which strike prices to choose. It's important to have a clear outlook—what you believe the market may do and when—and a firm idea of what you hope to accomplish. Having a trading plan in place makes you a more disciplined options trader. Up, down, or sideways—there are options strategies for every kind of market. 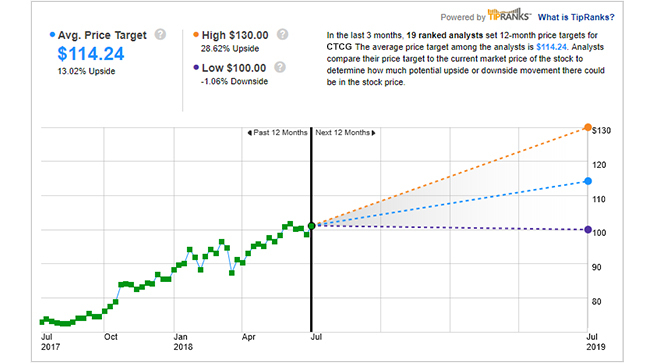 Use the Strategy Optimizer Tool to quickly scan the market for potential strategy ideas based on your market outlook, target stock price, time frame, investment amount, and options approval level. 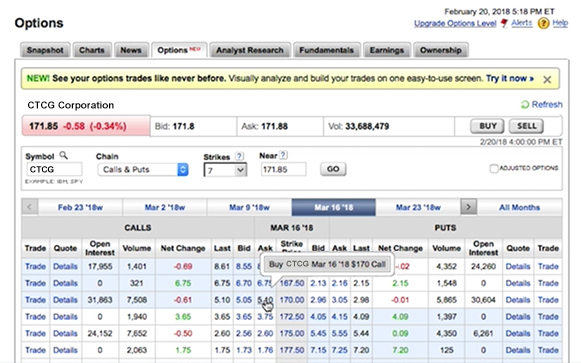 Use options chains to compare potential stock or ETF options trades and make your selections. 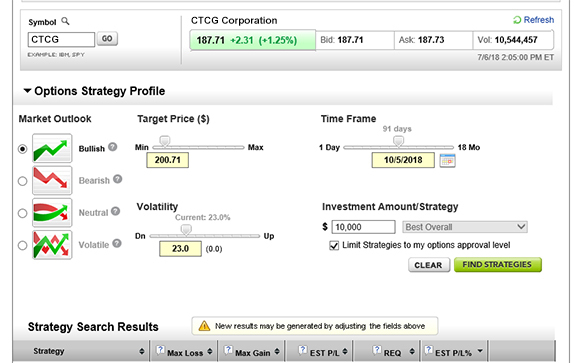 Before you place your trade, visualize and test your trading strategy using E*TRADE tools. 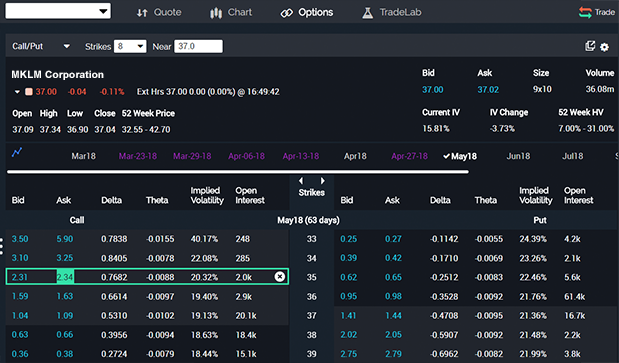 Use the Options Analyzer tool to see potential max profits and losses, break-even levels, and probabilities for your strategy. Watch our demo to see how it works. 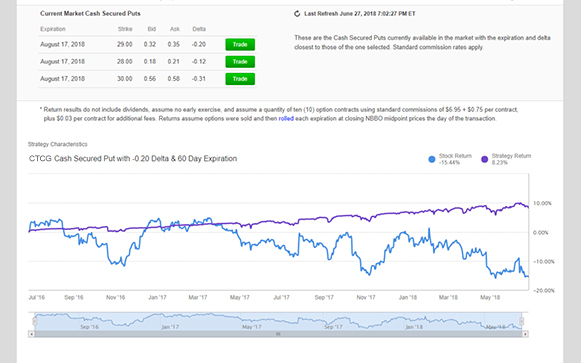 The Options Income Backtester tool enables you to view historical returns for income-focused options trades, as compared to owning the stock alone. Start with nine pre-defined strategies to get an overview, or run a custom backtest for any option you choose. 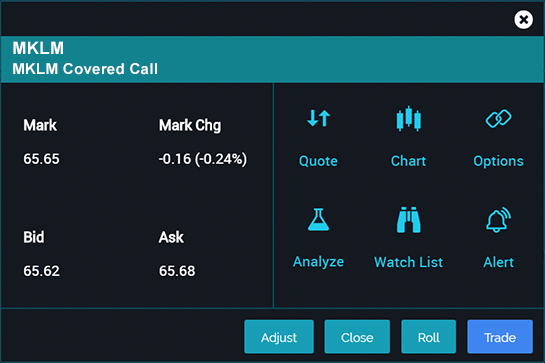 Use the Options Income Finder to screen for options income opportunities on stocks, a portfolio, or a watch list. 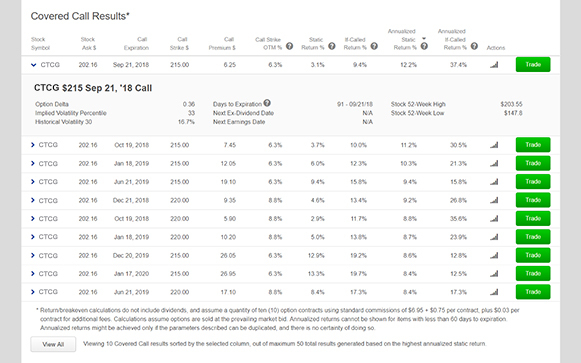 View results and run backtests to see historical performance before you trade. 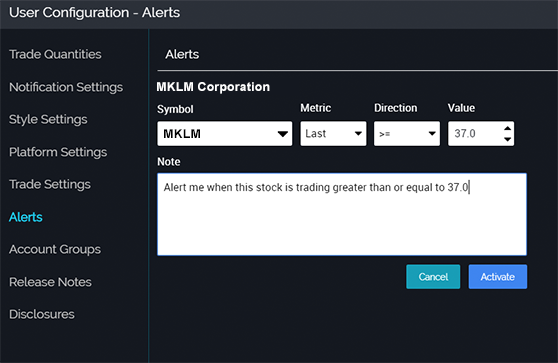 Select positions and create order tickets for market, limit, stop orders, and more straight from our options chains. Watch this brief 2-minute video to see how you can quickly and easily place options orders on the E*TRADE web platform, click by click. Most successful traders have a predefined exit strategy to lock in gains and minimize losses. This is an essential step in every options trading plan. 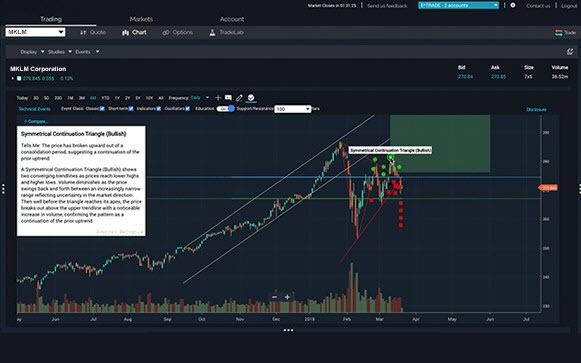 Whether your position looks like a winner or a loser, having the ability to make adjustments from time to time gives you the power to optimize your trades. Remember, just because there's an expiration date on an option doesn’t mean you have to hold it until it expires. 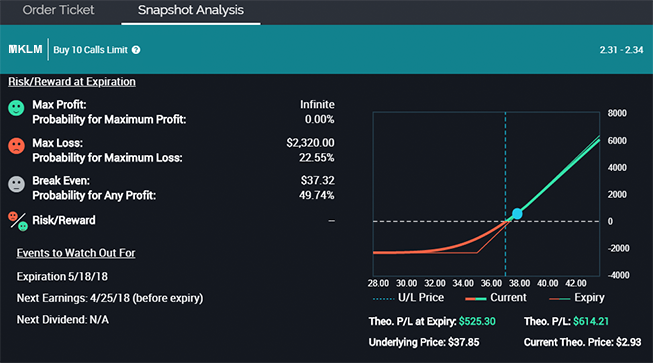 How to do it: From the options trade ticket, use the Positions panel to add, close, or roll your positions. 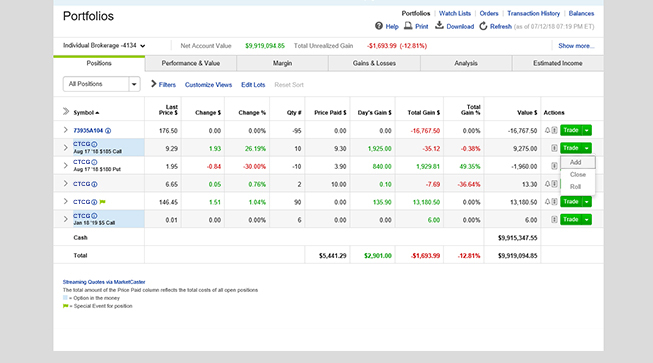 You can also adjust or close your position directly from the Portfolios page using the green Trade button. Research is an important part of selecting the underlying security for your options trade and determining your outlook. 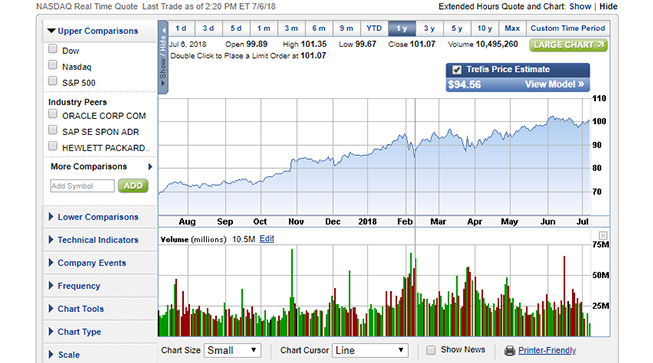 Start with some of the most widely used research tools on the Power E*TRADE platform. Similar to trading stocks, use fundamental indicators to help you to identify options opportunities. 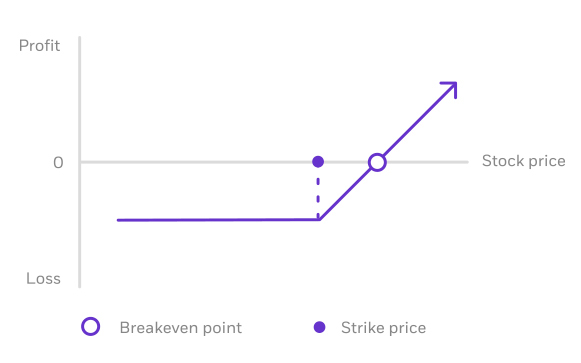 Use embedded technical indicators and chart pattern recognition to help you decide which strike prices to choose. Run reports on daily options volume or unusual activity and volatility to identify new opportunities. It’s important to have a clear idea of what you hope to accomplish. Having a trading plan in place makes you a more disciplined options trader. 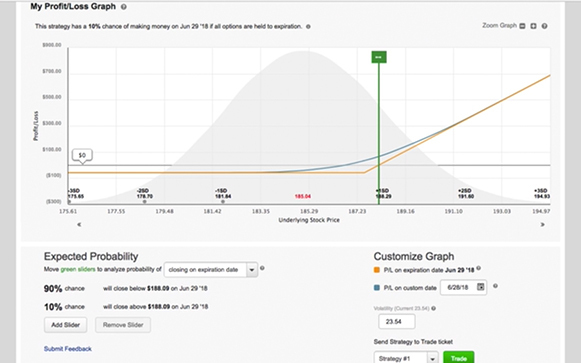 Your choice should be based on your projected target price and target date. using the Snapshot Analysis tool. Power E*TRADE gives you the flexibility to set up one-click trades from the options chain for faster order entry. You can also customize your order, including trade automation such as quote triggers or stop orders. 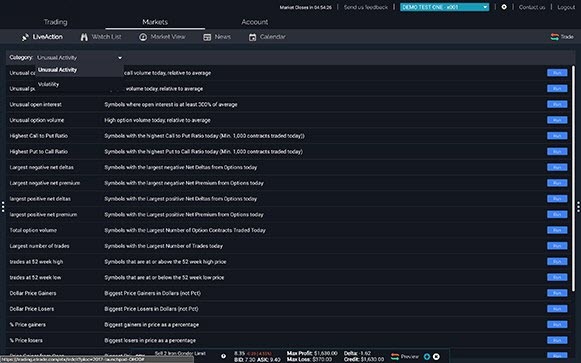 Watch this brief 3-minute video to learn how to quickly and easily place options orders on the Power E*TRADE platform, click by click. Remember, just because there’s an expiration date on an option doesn’t mean you have to hold it until it expires. 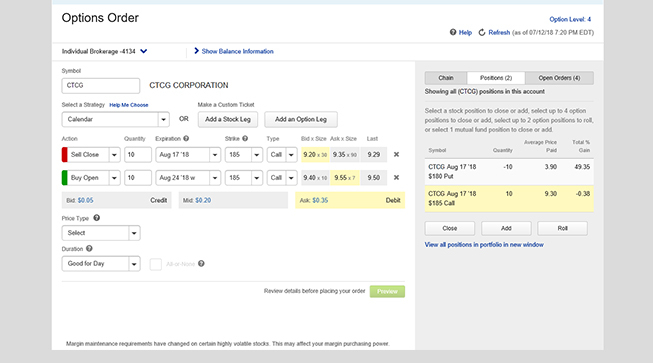 How to do it: From the Positions page on the Power E*TRADE platform, you can easily adjust, roll, or close an options position. Have questions or need help placing an options trade? Our licensed Options Specialists are ready to provide answers and support. Call them anytime at 800-387-2331. This content is being provided to you for informational purposes only. The content has been prepared by third parties not affiliated with E*TRADE Financial Corporation or any of its affiliates ("E*TRADE") and E*TRADE is not responsible for, nor does it endorse or approve, its content. This content and any information contained therein, does not constitute a recommendation by E*TRADE to buy, sell or hold any security, financial product or instrument referenced in the content. This information neither is, nor should be construed as an offer, or a solicitation of an offer, to buy or sell securities by E*TRADE. E*TRADE does not offer or provide any opinion regarding the nature, potential, value, suitability or profitability of any particular investment or investment strategy, and you shall be fully responsible for any investment decisions you make, and such decisions will be based solely on your evaluation of your financial circumstances, investment objectives, risk tolerance, and liquidity needs. 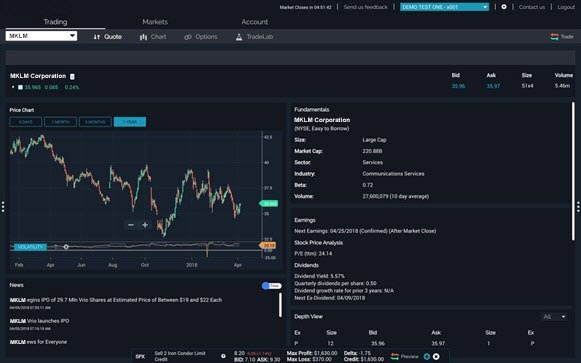 E*TRADE is not affiliated with Credit Suisse, Morningstar, Thomson Reuters, Market Edge, Trefis, TipRanks, or SmartConsensus by ResearchTeamTM , a product of Markit On Demand. Customers will be charged $25 for broker-assisted trades, plus applicable commission.